The kitchen will of course be one of the most frequently used rooms in your home so it’s important that you create a space which is both practical and yet stylish. There’s a lot to consider when choosing the flooring for your kitchen – you need something that can be easily cleaned, is ideally stain resistant and yet a style that will complete your interior. What different types of flooring can I choose for my kitchen? Carpet is not commonly used in the kitchen for many reasons. Mainly because a carpet will soak up any spillages and isn’t stain resistant. In a kitchen, where you will be preparing food and cooking, you ideally need a floor that can be easily cleaned if you spill or drop anything. If you really do want carpet in your kitchen then we would suggest choosing something hard wearing, stain resistant and ideally in a dark colour. An extremely popular option for kitchen flooring is laminate because it looks stylish, is easy to maintain and, once you know how, it’s easy to install. 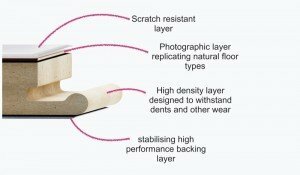 View the BestatFlooring full range of laminate flooring here. 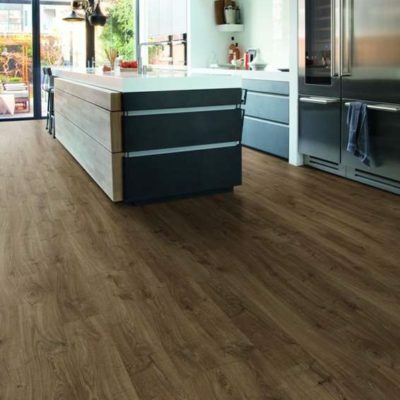 Vinyl is also a very popular choice of flooring for a kitchen as it’s water-resistant, durable and is now available in a wide range of designs and styles so it would look fantastic in almost any room. If you have a large family and want something cost-efficient and easy to maintain then vinyl is the perfect choice. 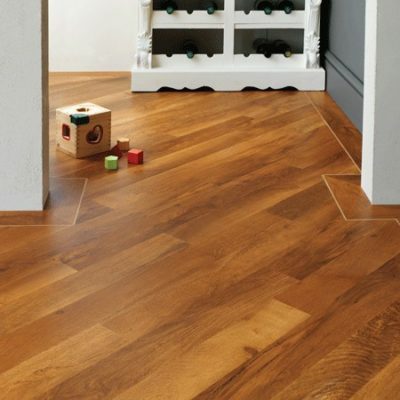 View the BestatFlooring full range of vinyl flooring here. Due to the rapid changes in temperature that a kitchen will experience solid wood isn’t advised for a kitchen, although you could choose engineered wood. What should I consider when choosing my floor? As you will spend a lot of time in your kitchen the interior is very important. A kitchen should be practical but stylish, a place where you have plenty of space to cook for the whole family and enjoy spending quality time in. Just as it does with any room in your home, the floor you choose will depend on your lifestyle and who lives in your house. If you enjoy cooking and have a huge family, then it is vital that you choose flooring which can easily be cleaned and is easy to upkeep. If there are a lot of people living under one roof, chances are they will spend a lot of their time coming in and out of the kitchen, so your floor needs to be able to withstand a high traffic of footfall. In terms of your style choose a floor which complements the existing kitchen décor, go with a colour and design which works well with the countertops and the kitchen table. Which flooring is popular for a kitchen floor? Laminate and vinyl are the most popular types of flooring material for a kitchen due to them being stylish but also easy to clean and upkeep. The type of laminate or vinyl which you choose is entirely up to you and your personal taste. If you choose vinyl flooring then you need to decide if you would prefer wood, stone, mosaic or abstract effect. This all comes down to what the interior is like in your kitchen and what direction you would like your interior to go. Many people like vinyl for their kitchen purely because of how easy it is to upkeep and you can also choose a style which looks exactly like wooden floor. Is solid wood flooring suitable for a kitchen? Generally, solid wooden flooring isn’t suitable for a kitchen floor. This is because solid wood is made from a natural product which expands and contracts as moisture and temperature levels rise and fall. In a kitchen, which experiences a lot of heat and steam this can become a problem. Additionally, as you will experience spillages in the kitchen you may want to consider a floor which is easier to maintain, like vinyl. Is engineered wood suitable for a kitchen? Engineered wood flooring won’t expand and contract to the same extent as a solid wood floor would, however, it will expand slightly when temperatures rise, contracting once again when temperatures go back to normal. If you have left the recommended 10-15mm expansion gap around the room, then your floor will be able to deal with expansion. 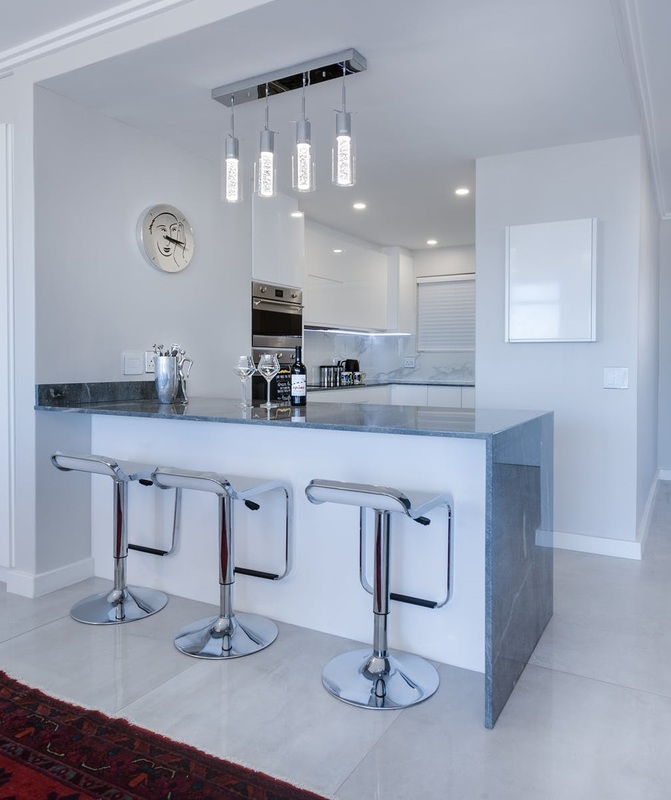 You may however want to consider the risk of spillages occurring in a kitchen, as you will need to make sure to mop up any spillages as soon as possible for safety purposes and to prevent long term damage to the floor. 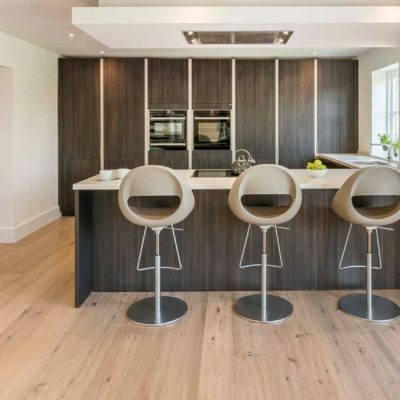 All this being said, engineered wood can look fantastic in a kitchen and we have a beautiful range here at Best at Flooring, which you can check out here. Which vinyl tiles are the most popular for the kitchen? Here at Best at Flooring we have a huge range of vinyl tiles so it can be overwhelming when it comes to choosing a style and design. 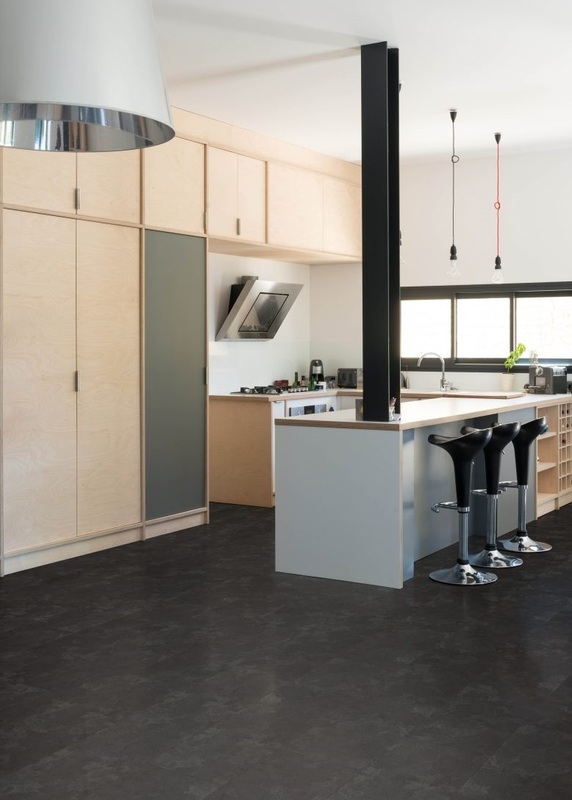 Some popular vinyl tiles for a kitchen are Amtico Spacia Flooring. We hope you have found this guide useful and inspirational. Head back over to BestatFlooring website here to choose the perfect flooring for your kitchen.